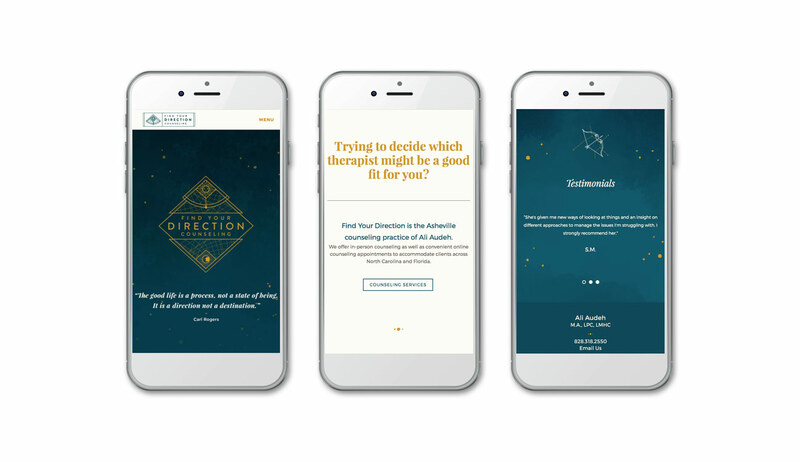 Find Your Direction Counseling is the counseling practice of Ali Audeh and specializes in depression, addiction recovery, eating disorders and stress/anxiety management. Ali wanted to rebrand her business to better reflect her process and work involved when seeking treatment. The brand needed to emphasis the journey and hope in lighting one’s path in the midst of personal struggle and growth. 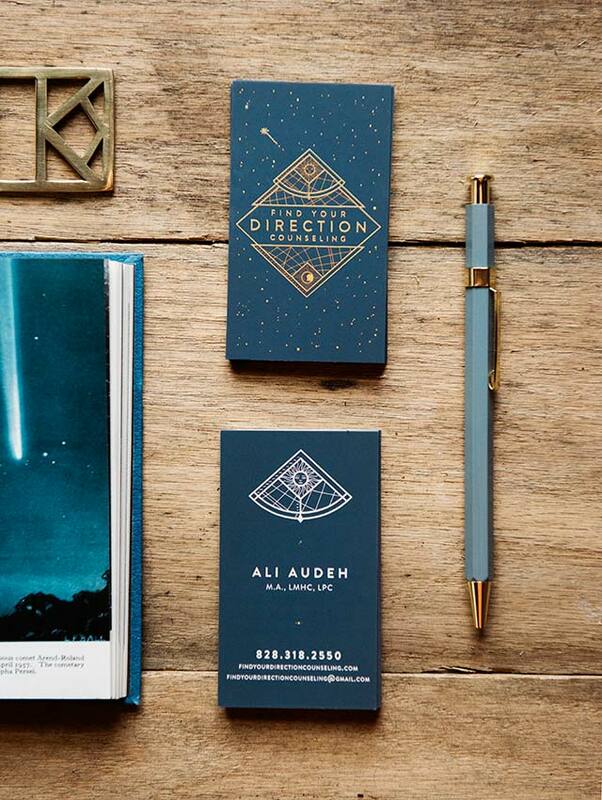 To craft a brand that conveyed this sentiment, we worked closely with Ali to develop a brand story that combined the ideas of personal growth through counseling, with an astronomy theme to represent her practice. 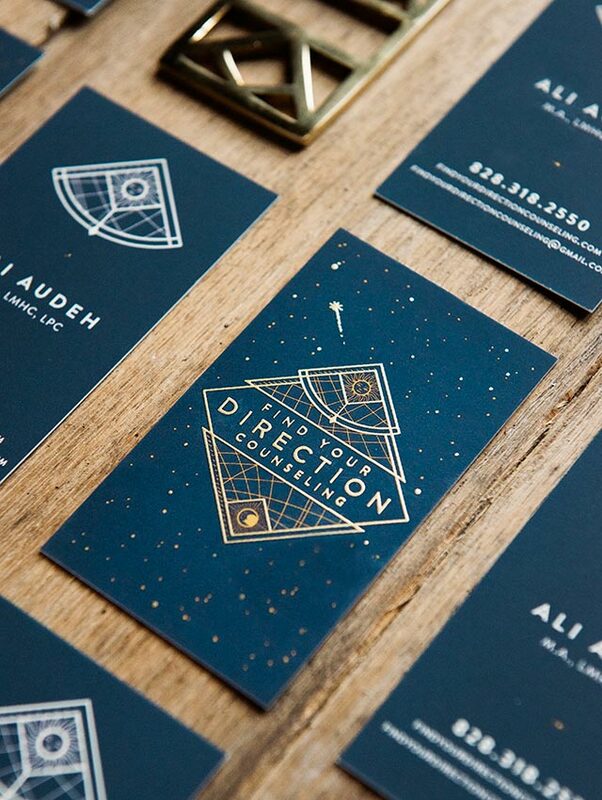 The brand balances the feeling of infinite possibilities while plotting one’s own course and the uniqueness of the constellations.